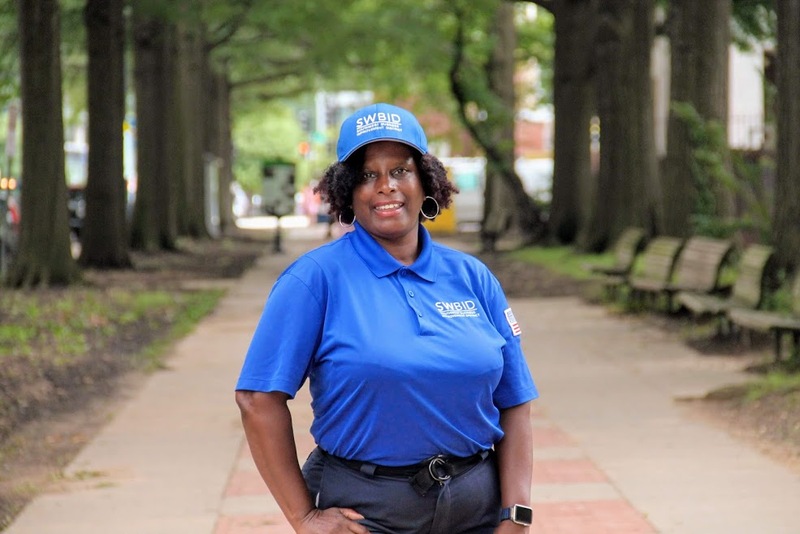 Southwest DC is “the place to be.” We continue to spotlight the dedicated staff of the SWBID who are focused on making Southwest a clean, safe, vibrant community to live, work and visit. Ms. Vicke, pronounced Ms. Vickie, joined SWBID 6 months ago, but she always knew she would work there. A while ago she met Steve and Andre in her previous job. They liked her customer service, gave her their business cards and asked her to stay in touch. She likes everything about the SWBID and says the staff is like family and committed to teamwork. Their motto is “teamwork is the dreamwork.” The team supports and encourages each other. Ms. Vicke was born and raised in New Jersey and New York and moved to DC as a teenager. She currently lives in our neighborhood. She attended Keene elementary, Rabaut Jr. High and Calvin Coolidge High. Fifteen years ago she was with Empowerment for DC. Ms. Vicke is glad to have worked on a campaign for child care and she made a presentation at the Wilson Building. She is proud of her work on the Southwest Collaborative with Naomi Mitchell of Charles Allen’s staff. A former resident of Greenleaf, Ms. Vicke says she is the proud mother of four, and has six grandchildren. 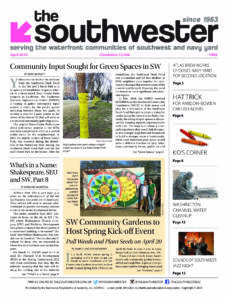 She is keenly aware of all the new happenings in Southwest and never hesitates to share the BID’s vision with others. Victoria has been a tremendous hire for SWBID and has a very bright future. Sports team: Giants, Jets—anything New Jersey & New York! So when you’re out and about—be sure to say hello to Ms. Vicke!